How Does Being Eco Friendly Effect Your Relationship? One of the most difficult parts about trying to raise a family in an eco friendly way is when you don’t have agreement in your household about what you should and should not be doing. Very often one person will feel much more strongly than the other about environmental topics, and this can lead to disagreements. Is being eco friendly being hard on your family? Kids are interesting creatures, as any parent will tell you. They can be so amazingly eco friendly one day, utterly indifferent the next. They’ll be passionate about things you may never have considered. It’s vital that you give your kids the habit of being green. This is easiest when they’re young, so it’s just a fact of life for them. If they’re resisting, talk to them about it. Resistance can be a sign of not understanding the problem, an issue with peer pressure or simple disinterest. See what you can do about it. Fortunately, more and more kids are aware of environmental issues these days, so you can find good examples for them if you look around. If there’s anyone more difficult for a mom to change than her kids, it’s often her husband. Most mean well, they try, but if it’s not a subject he’s interested in you’re going to have quite a battle. With my own husband, it’s his willingness to go the easy way rather than considering sustainability at times that can drive me up the wall. I finally have him understanding why plastic bags don’t go in the regular recycling. Not because I told him, but because he talked to a professional who explained that plastic bags tend to generate static electricity, stick to everything else whether or not it’s the right sort of plastic, and generally cause trouble. They need to go through the recycling at the grocery store. On the plus side, he gets the recycling mostly right, loves to garden, and composts when possible, which sadly isn’t much where we are now. He also likes his Klean Kanteen water bottle I got for him to use at work. The key is proper communication with each other. It doesn’t do a lot of good for your relationship to yell at each other over your differences. It’s better if you can talk about them. Make sure your communication includes why you’re making the changes you are and why you support the causes you do. 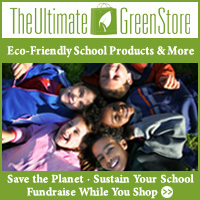 Education is a big part of being environmentally friendly. Otherwise it all feels like extra hassle to a lot of people. If you show your husband and kids as appropriate why you don’t use certain things or certain brands, they may be more cooperative in the matter. Your own attitude can be a problem as well. If you have too much of an attitude that you know best, you’re going to put people off. You need to accept that sometimes you will have different priorities and even develop different opinions despite looking at the same information. That’s fine. What you should be hoping for is that you will both make an effort to understand the other’s perspective. Remember, marriage doesn’t make you one. You are still two different people hoping to spend your lives together. You’re going to have differences. Don’t let the differences obscure what’s good. The great part about raising your family in an eco friendly way is that there are so many things you can enjoy together. Hiking, camping, fresh foods. Even learning to live with less than others can be a pleasure with the right attitude. It’s not things that make us happy, as a rule. It’s having people you care about with you.